Lou Holtz (left) and Terry Donahue (right) pose for a photo with a college football coach at 6th annual California Showcase. For the sixth straight year, former UCLA head coach Terry Donahue’s California Showcase shined a spotlight on student-athletes hoping for a second chance to play college football. 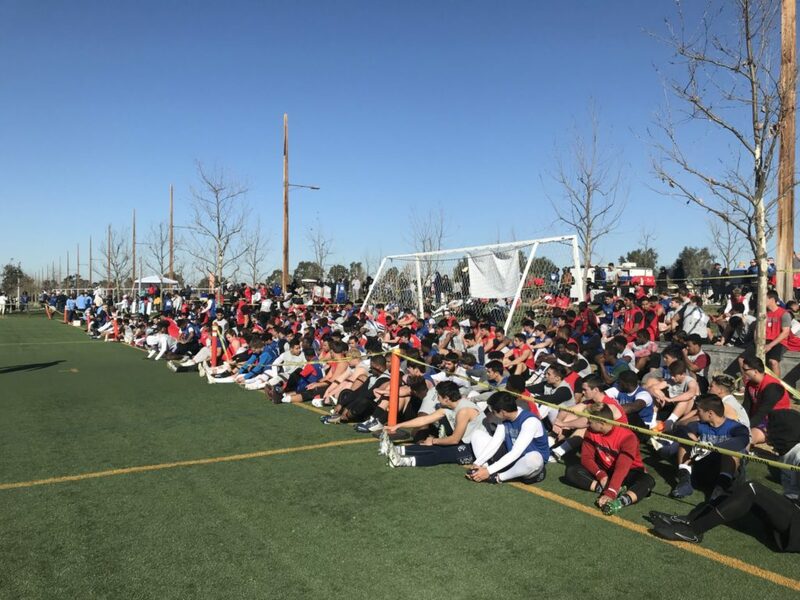 Hundreds of high school football players attended the National Football Foundation event Saturday in Irvine, California. The California Showcase is free to academically eligible high school players, who did not sign an NCAA Division I letter of intent. The players worked-out for coaches from over 50 NCAA Division II, III and the NAIA football programs from around America. 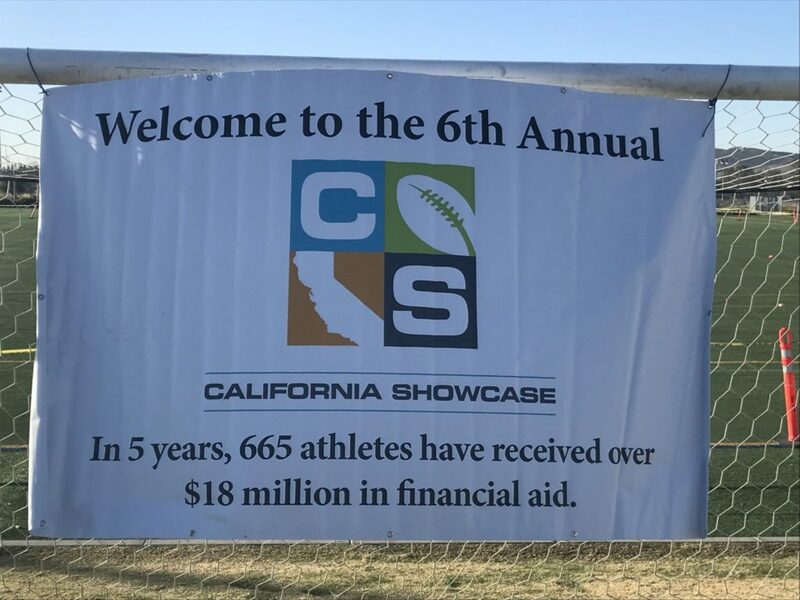 For the student-athletes that attended Saturday’s camp, they were greeted by a sign letting them know that during the first five years, over 600 players were helped with over $18 million in financial aid. Aside from the chance to workout for college coaches, the players heard an inspirational message from legendary coach Lou Holtz.